Fortnite fans rejoice, there’s a brand-new weapon inbound! The v5.40 Content Update introduces the Suppressed Assault Rifle to Fortnite, but takes away the Drum Gun. 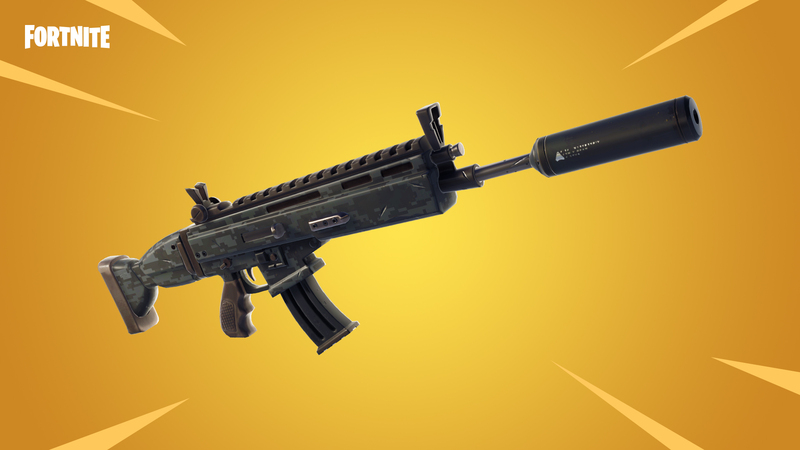 The Suppressed Assault Rifle is described as a “sneaky weapon that rewards trigger discipline with precision,” so we can expect that it has quite a lot of recoil – uncommon for Fortnite guns. It deals 32/33 damage per shot though, so it should rip through health bars pretty quickly at most ranges. Some people will be sad to see the high-capacity bullet hose that was the Drum Gun go, but with the rest of the submachine guns receiving a rework it felt a little redundant. The patch doesn’t add a new LTM this week because the High Stakes challenges are still live – meaning you still have time to try your hand at The Getaway. As for Save the World, Field Agent Rio joins the team, while the Weekly Horde Challenges include extra deadly and more aggressive Husks.